Whether you are the owner of a business organization or a retail store owner, who sells products to his customers, you are required to present your customers with a bill at the end of each purchase. This bill comprises of the details of the sale of products bought, rate, quantity, amount to be paid etc. 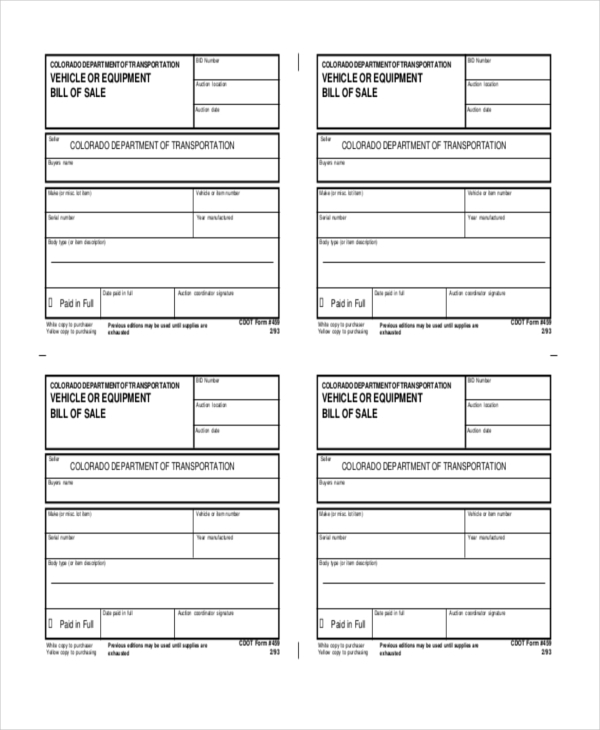 Designing this bill of sale becomes easier when you use a printable bill of sale. 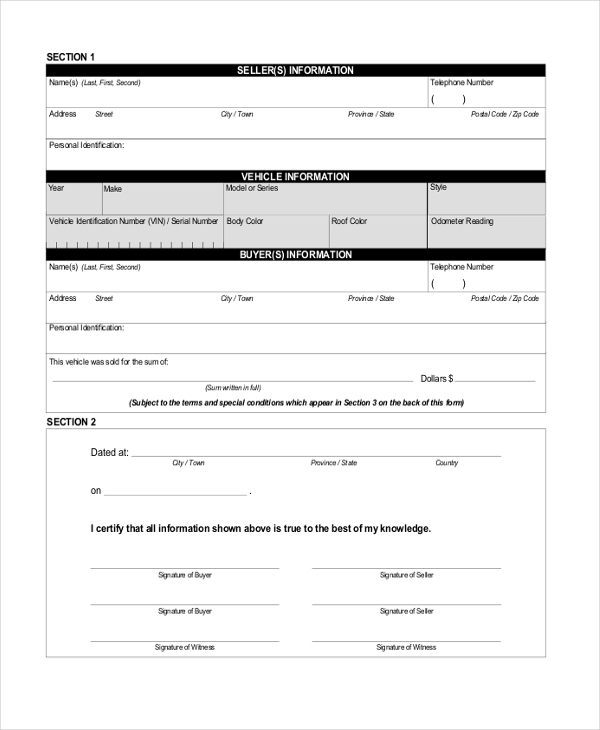 These Bills of Sales Forms are print ready and contain all the important segments that should be included in the bill. 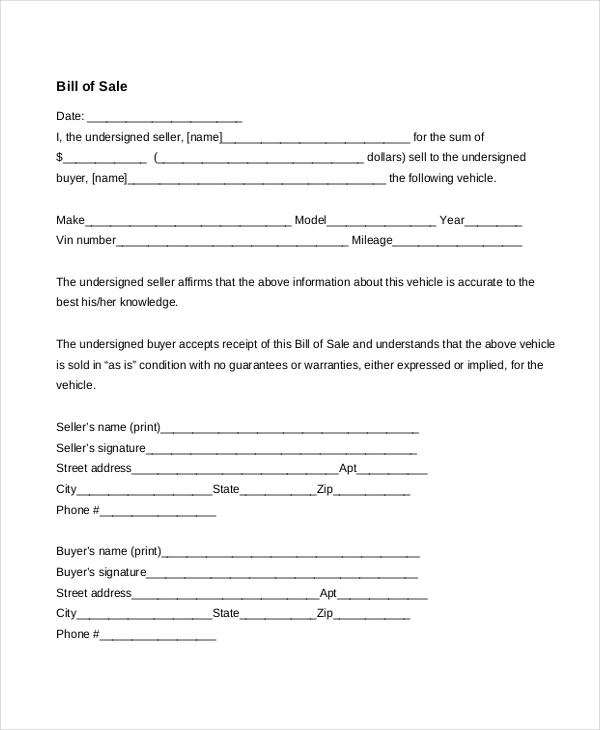 This printable bill can be used by a car dealer to design a bill that he can give his customers on the purchase of a car from his showroom. He can use this bill as it is or can personalize it. This printable bill can be used by anyone irrespective of their nature of business. The bill would contain all the important subheads and can be further customized as per the user’s need. 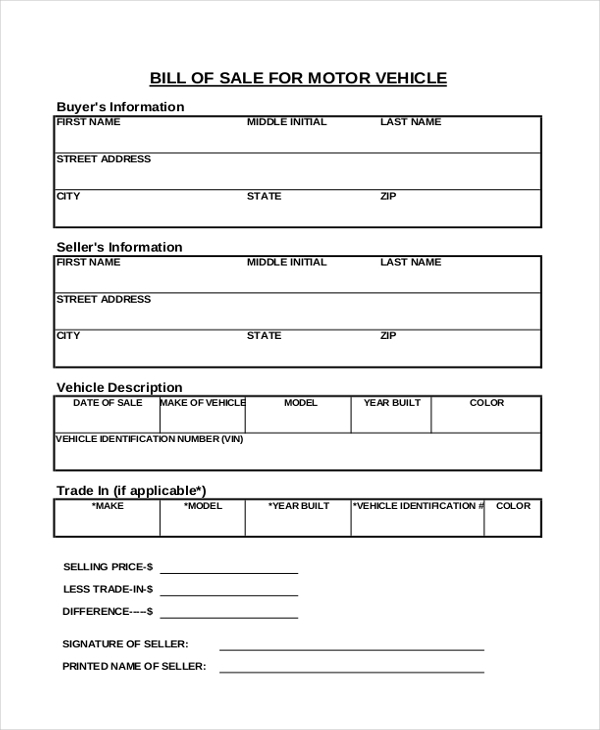 This printable bill of sale can be used by a person who deals in sales of vehicles. He can record the details of a transaction in this bill and then hand it over to the customer. 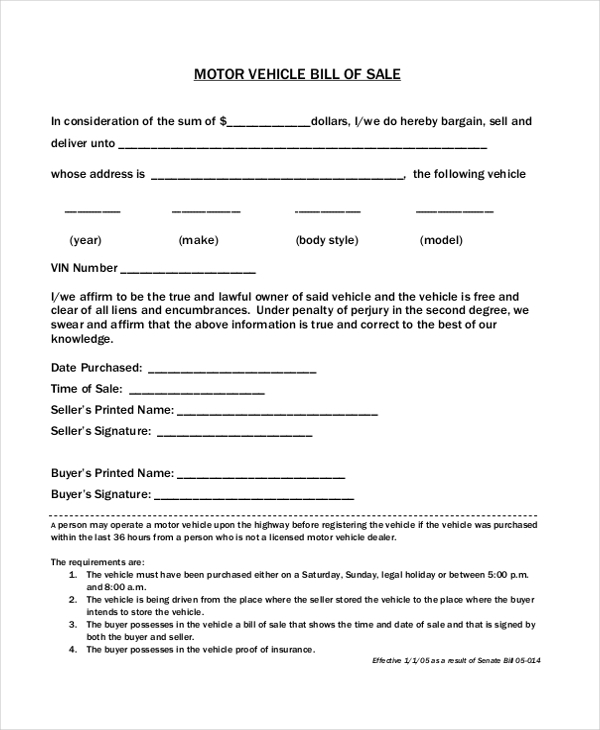 Any person or showroom that deals in the sales of automobiles can make use of this bill to come up with a unique bill of sale. This bill, however, contains all the important subheads. Irrespective of what the nature of one’s business, any business organization can use this sale receipt to design one that would be perfect for their company. 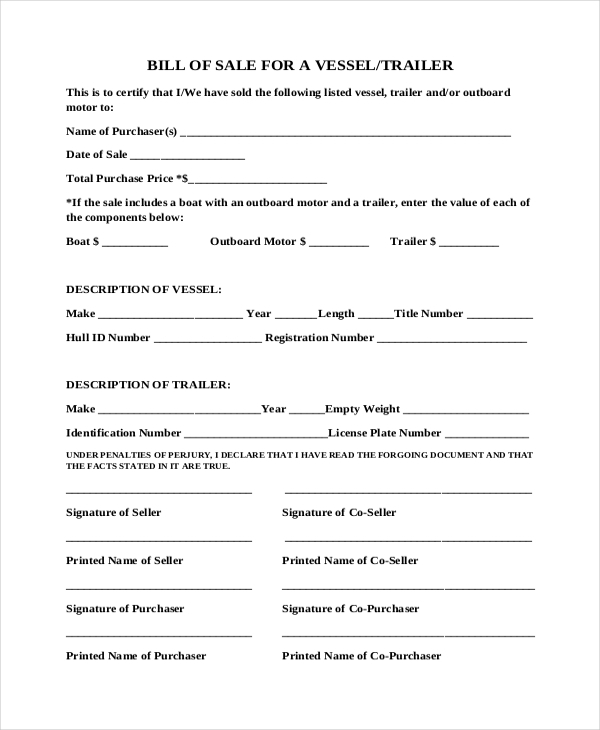 As the name indicates, this printable bill can be used by a person who deals in the buying and selling of boats. He can use this to present a buyer with a detailed bill on the purchase of a boat. 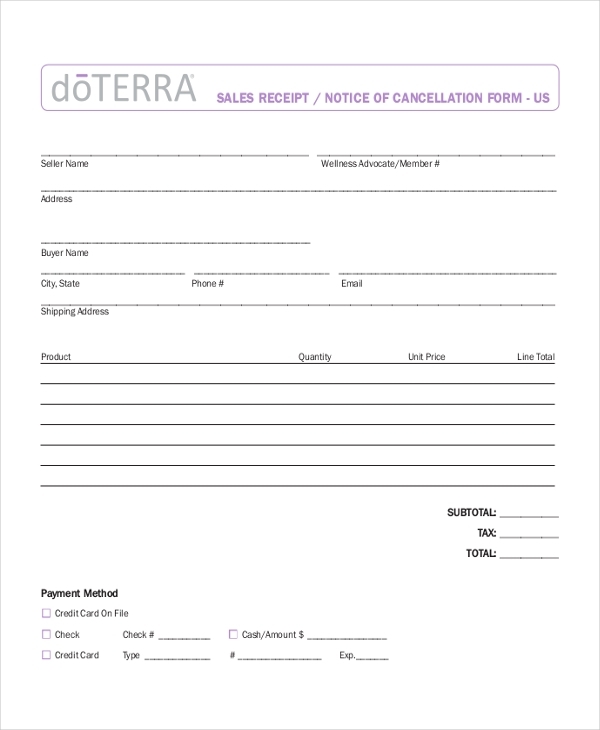 Business organizations can use this bill of sale to design a bill that they can offer their customers to inform them about the amount that they need to pay in lieu of the products bought by them. This printable bill comes in handy for the owner of a shop or showroom that deals in the sale of different types of equipment like electronics, household, industrial etc. 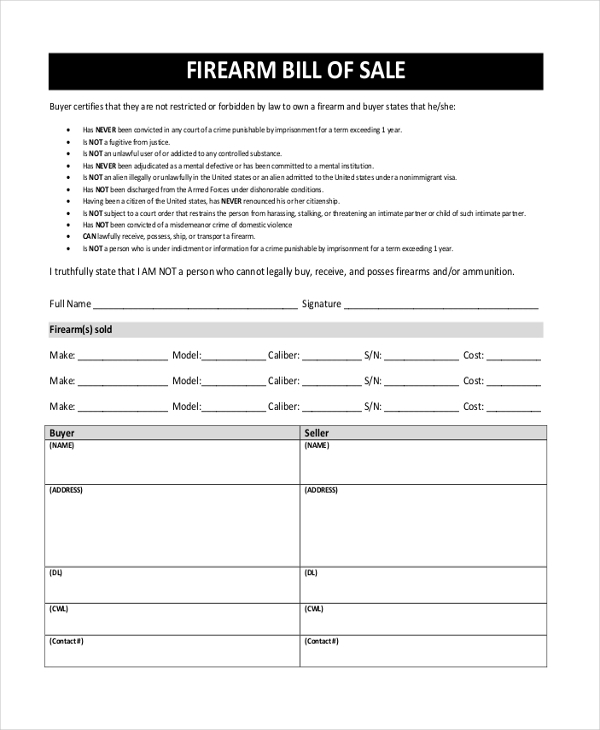 As the name indicates, this printable bill of sale comes in handy for a person who owns a legalized shop of firearms. He is required to present his customers with a bill of each transaction. What are the Benefits of Using Printable Bill of Sales? If you are not sure of how to design a printable bill of sales, there is really no need to worry. We offer a wide range of these bills and are sure that you can easily find one that would suit your needs. The best thing about these is that you can quickly download and customize them before hitting the print command. 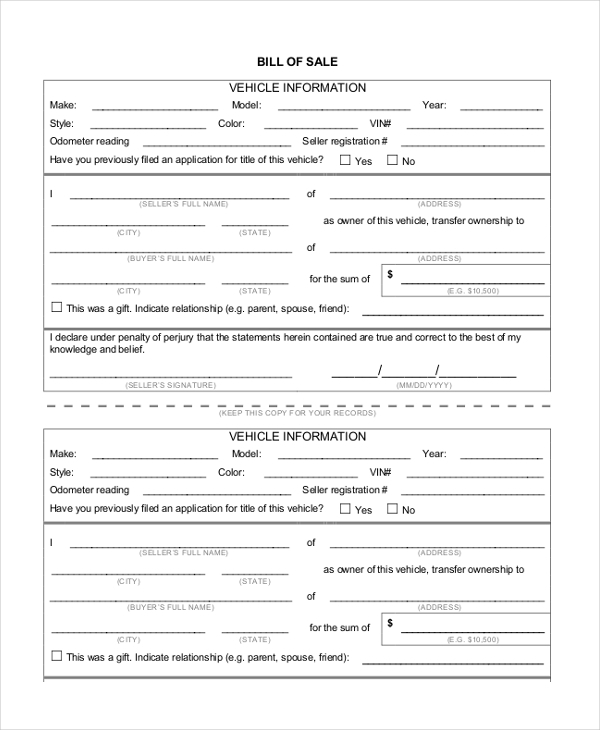 You can also see Blank Bill of Sale Forms.